The general philosophy of French education is that you drop off your children in the morning, the teachers educate them, and then they are returned to you -- alive -- at the end of the day. There are no parent-teacher conferences, unless you or the teacher calls one to air any special concerns. 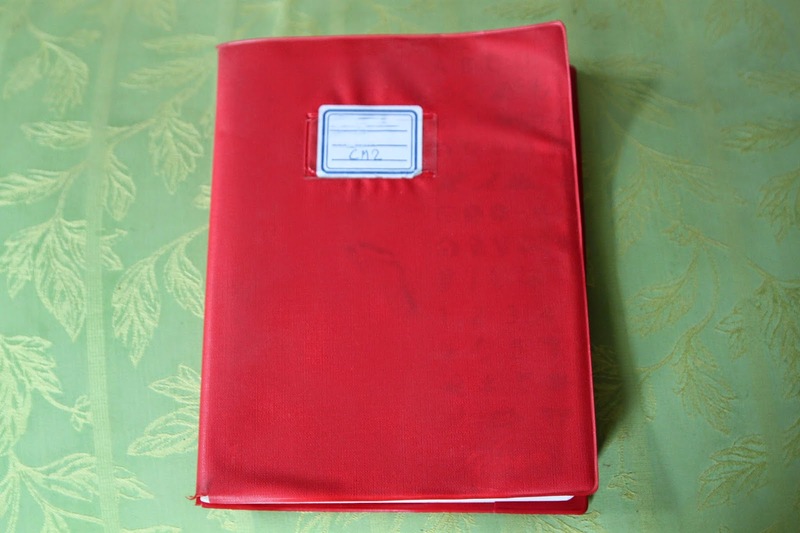 Since you are not welcome in the school, let alone the class, and you have no chance to meet the teachers, and the teachers certainly will not hand out their e-mail addresses, nor host interactive websites, there is one way to communicate: the red notebook. Since the history of time, it seems, the French have communicated this way. It seems highly inefficient in this day and age. In San Francisco, they might send out one e-mail or electronic newsletter to the whole class. Here, they might hand-write a note to each child or, more likely, write something on the board and have the children copy it down. Or the school makes photocopies of the message, cuts them to size, hands them out to the kids, and has each one glue it into the notebook -- and yes, I mean the entire school. Even though they have our e-mail addresses on record. I weep for all the trees needlessly felled. The important thing to know as a parent is that you need to check the red notebook frequently, and if you've got any messages, comments, or questions to the teacher, that's where you put them. Babyel may well be the most iconic of French industrial cheeses. For the French, it's a toss up, I suppose, between this and La Vache Qui Rit. For non-French, however, it's a no-brainer: Babybel, and specifically mini Babybel, is the picnic snack special of portable, industrial, commercial French cheeses. You've probably seen them in a grocery store near you, wherever you may live. Inside the red plastic is red wax, and inside the red wax is a little ball of pasteurized cows' milk cheese. I would say it's hard to hate, but our girls kind of hate it. It's mild to the point of boring, with a texture somewhere between creamy and...what's the word? Pasty? Gummy? The large, original size Babybel baffles me, as the only real redeeming quality of the cheese, as far as I'm concerned, is the portability and practicality of the miniature version for snack purposes. Babyel aspires to be Edam Français (below), which in turn aspires to be Dutch Edam. Make no mistake, neither of them are Dutch Edam, and Babybel is not even Edam Français. The brand was created in 1931 locally then extended regionally in 1952 and nationally in 1964. The mini size was created in 1977. 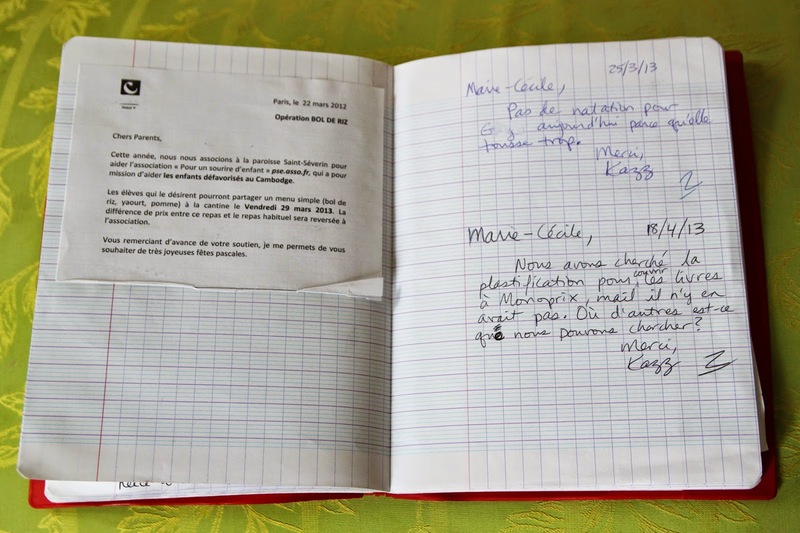 It's true that you'll often see Mini-Babybel with school children just as you'll see nearly every school-aged-child in France with a cahier rouge -- the infamous school notebook. But really this connection is clinched by the fact that whatever's on the inside, both the classic Babybel and the traditional cahier rouge are easily identifiable by their shiny, red, plasticky exteriors.